We live in an age where speech has as instantaneous global reach and our private information is being peddled in the public square. The intimacy of face to face conversation has become rare, for we do most of our “speech” in front of screens instead of faces. With speech so deeply transformed and information so disembodied a discussion of the ethics of speech is most necessary: how do we sensitize ourselves to use speech and information wisely? These questions of speech and intimacy are explored in a short story at the end of Parshat Beha’lotcha: Miriam and Aaron “speak” about Moses behind his back. God reprimands Aaron and Miriam for speaking about Moshe, inflicting Miriam with leprosy. Moshe prays for her to be healed, but Miriam is still forced out of the camp for seven days. This episode leaves many questions for the reader to explore: Why is only Miriam punished? What exactly were these siblings saying about their brother? Why leprosy, and what is it about gossip that its retribution is banishment? Following this story and other biblical verses, Judaism developed a rich discussion about ethical speech. Two terms are used in this discussion: Lashon haRa, malicious speech, or literally “evil tongue”, this term put an emphasis on the intent of the speech: such speech is unethical because its purpose is simply to harm others. The other term in Hebrew holds a different nuance: Rechilut, gossip, which evokes the Hebrew word for peddler – rochel. As the Yerushalmi Talmud notes: “You should not be like a peddler who peddles one person's goods to the other, and the other person's goods to the first” (Peah 4b). In this image, what makes gossip unethical is that it is the peddling of information, turning it from its organic context where it bears a controlled meaning, to a commodity which can be used and interpreted (“sold”) by others for their own interests. 1 - What constitutes Lashon haRa? Said Abaye: What does such talk do? It is merely giving information! Rather Lashon haRa is only when one utters those words in a malicious fashion: ‘Where else should there be heating if not in the house of So-and-so? There is always meat and fish…’. Rabbah said: Whatsoever is said in the presence of the person concerned is not considered Lashon hara. Said Abaye to him: But [saying something in their presence about them] is even worse: rudeness and Lashon haRa! Rabbah answered: I hold with R. Yosi, for R. Yosi said: I have never said a word and had to look behind my back. In the choreography of the scene, the Torah shows how the exclusion of the third person here, Moshe, is at the root of the problem. Rabbah son of Rav Huna (quoted above - similar name, different guy), takes Rabbah’s idea one step further, with a splendid Talmudic counter-intuitive statement: That which is said among more than two people is not Lashon haRa. Why? For Rabbah the issue at the heart of Lashon haRa is one of intimacy. When two people are gossiping, a powerful intimacy is created – one that cannot occur in a crowd. 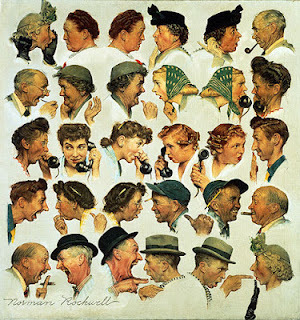 Gossip is essentially the creation of an “us” and a “them”, a “normal” and a “not normal”. Two people gossiping about a third person, creates an intimate bond. However, this intimacy is a false intimacy – it is a relationship that is rooted in the disgrace of another, in the flouting of boundaries of privacy and respect which are inherent to an ethical society. Gossip is an act of separation and banishment from the normal, splitting up other people’s intimacy and creating a new intimacy with yourself at the center. Gossip is so satisfying because it creates a new intimacy and bond. The punishment of leprosy reverses this act: it is not the target of our gossip who is scaly and contagiously disgusting – it is we who bear the sign of shame. We tried to forge a false intimacy, and are instead banished ourselves from relationship. Ouch. Learning and scholarship are the reversal of gossip because learning is also about peddling information, taking information out of one context and placing it in a new context where it will thrive and grow in value. However the goal of disseminating scholarship is see the infinite possibility in creation, not to maliciously see the limitations in those that surround us. It is about creating bonds of presence, not in order to push others out, but in order to create a world where intimacy is valued and relationships can be based on trust and mutual respect.As our ability to peddle in information – our own and others – becomes so greatly available to us, we must sensitize ourselves to the delicate nature of intimacy, and use our ability to spread information in a way that creates a tree of life. These ideas were germinated by a comment my teacher, Moshe Halbertal, made seven years ago about gossip and false intimacy. My havruta overheard the comment, and “gossiped” it to me. 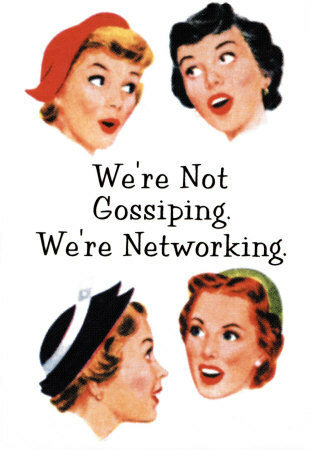 For a year we peddled in this information, studying about gossip (and occasionally partaking in it too). These ideas are the joint outcome of these discussions. on account of the Cushite wife that he had taken-in-marriage, for a Cushite wife had he taken. They said, “Has the Lord spoken only through Moses? Has He not spoken through us as well?” The Lord heard it. 2Now the man Moses was exceedingly humble, more so than any other human on the face of the earth. So the three of them went out. 4The Lord came down in a pillar of cloud, stopped at the entrance of the Tent, and called out, “Aaron and Miriam!” The two of them came forward; 5and He said, “Hear these My words: When a prophet of the Lord arises among you, I make Myself known to him in a vision, I speak with him in a dream. 6Not so with My servant Moses; he is trusted throughout My household. 7With him I speak mouth to mouth, plainly and not in riddles, and he beholds the likeness of the Lord. How then did you not shrink from speaking against My servant Moses!” 8Still incensed with them, the Lord departed. 9As the cloud withdrew from the Tent, there was Miriam stricken with snow-white scales (tzaraat)! 14So Miriam was shut out of camp seven days; and the people did not march on until Miriam was readmitted. 15After that the people set out from Hazeroth and encamped in the wilderness of Paran. א וַתְּדַבֵּר מִרְיָם וְאַהֲרֹן בְּמֹשֶׁה, עַל-אֹדוֹת הָאִשָּׁה הַכֻּשִׁית אֲשֶׁר לָקָח: כִּי-אִשָּׁה כֻשִׁית, לָקָח. ב וַיֹּאמְרוּ, הֲרַק אַךְ-בְּמֹשֶׁה דִּבֶּר ה’--הֲלֹא, גַּם-בָּנוּ דִבֵּר; וַיִּשְׁמַע, ה’. ג וְהָאִישׁ מֹשֶׁה, עָנָו מְאֹד--מִכֹּל, הָאָדָם, אֲשֶׁר, עַל-פְּנֵי הָאֲדָמָה. ד וַיֹּאמֶר ה’ פִּתְאֹם, אֶל-מֹשֶׁה וְאֶל-אַהֲרֹן וְאֶל-מִרְיָם, צְאוּ שְׁלָשְׁתְּכֶם, אֶל-אֹהֶל מוֹעֵד; וַיֵּצְאוּ, שְׁלָשְׁתָּם. ה וַיֵּרֶד ה’ בְּעַמּוּד עָנָן, וַיַּעֲמֹד פֶּתַח הָאֹהֶל; וַיִּקְרָא אַהֲרֹן וּמִרְיָם, וַיֵּצְאוּ שְׁנֵיהֶם. ו וַיֹּאמֶר, שִׁמְעוּ-נָא דְבָרָי; אִם-יִהְיֶה, נְבִיאֲכֶם--ה’ בַּמַּרְאָה אֵלָיו אֶתְוַדָּע, בַּחֲלוֹם אֲדַבֶּר-בּוֹ. ז לֹא-כֵן, עַבְדִּי מֹשֶׁה: בְּכָל-בֵּיתִי, נֶאֱמָן הוּא. ח פֶּה אֶל-פֶּה אֲדַבֶּר-בּוֹ, וּמַרְאֶה וְלֹא בְחִידֹת, וּתְמֻנַת ה’, יַבִּיט; וּמַדּוּעַ לֹא יְרֵאתֶם, לְדַבֵּר בְּעַבְדִּי בְמֹשֶׁה. ט וַיִּחַר-אַף ה’ בָּם, וַיֵּלַךְ. י וְהֶעָנָן, סָר מֵעַל הָאֹהֶל, וְהִנֵּה מִרְיָם, מְצֹרַעַת כַּשָּׁלֶג; וַיִּפֶן אַהֲרֹן אֶל-מִרְיָם, וְהִנֵּה מְצֹרָעַת. יא וַיֹּאמֶר אַהֲרֹן, אֶל-מֹשֶׁה: בִּי אֲדֹנִי--אַל-נָא תָשֵׁת עָלֵינוּ חַטָּאת, אֲשֶׁר נוֹאַלְנוּ וַאֲשֶׁר חָטָאנוּ. יב אַל-נָא תְהִי, כַּמֵּת, אֲשֶׁר בְּצֵאתוֹ מֵרֶחֶם אִמּוֹ, וַיֵּאָכֵל חֲצִי בְשָׂרוֹ. יג וַיִּצְעַק מֹשֶׁה, אֶל-ה’ לֵאמֹר: אֵל, נָא רְפָא נָא לָהּ. יד וַיֹּאמֶר ה’ אֶל-מֹשֶׁה, וְאָבִיהָ יָרֹק יָרַק בְּפָנֶיהָ--הֲלֹא תִכָּלֵם, שִׁבְעַת יָמִים; תִּסָּגֵר שִׁבְעַת יָמִים, מִחוּץ לַמַּחֲנֶה, וְאַחַר, תֵּאָסֵף. טווַתִּסָּגֵר מִרְיָם מִחוּץ לַמַּחֲנֶה, שִׁבְעַת יָמִים; וְהָעָם לֹא נָסַע, עַד-הֵאָסֵף מִרְיָם. טז וְאַחַר נָסְעוּ הָעָם, מֵחֲצֵרוֹת; וַיַּחֲנוּ, בְּמִדְבַּר פָּארָן.